Burnley have supported the statement of the Premier League concerning controversial payments to the league’s departing Executive Chairman Richard Scudamore. There has been widespread disapproval across football, with many fans and observers have angered by the news that Scudamore is to claim £5m in payments as he leaves his role. A statement on the club website reads: “The Premier League has today agreed the arrangements for Richard Scudamore stepping down from his role as Executive Chairman. “The decision was made by the Audit and Remuneration Committee and the Non-Executive Directors, supported and endorsed by the clubs. 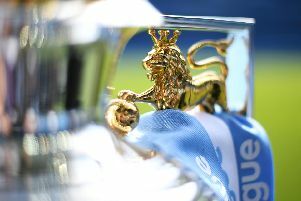 “It was vital that a comprehensive set of non-compete clauses were extended, to ensure the best possible protection for the future of the Premier League. “It was agreed that it is crucial for the League’s ongoing success that Richard’s unique knowledge and experience remain available in an advisory capacity. “The payments are in recognition of the outstanding work Richard has carried out over the last 19 years. “The Premier League would like to put on record our thanks to Richard for his exceptional contribution to the success of the League. “Burnley Football Club supports the statement of the Premier League and the rationale behind such payments and the work carried out by the remuneration committee.